This is a Philippine endemic and common locally. 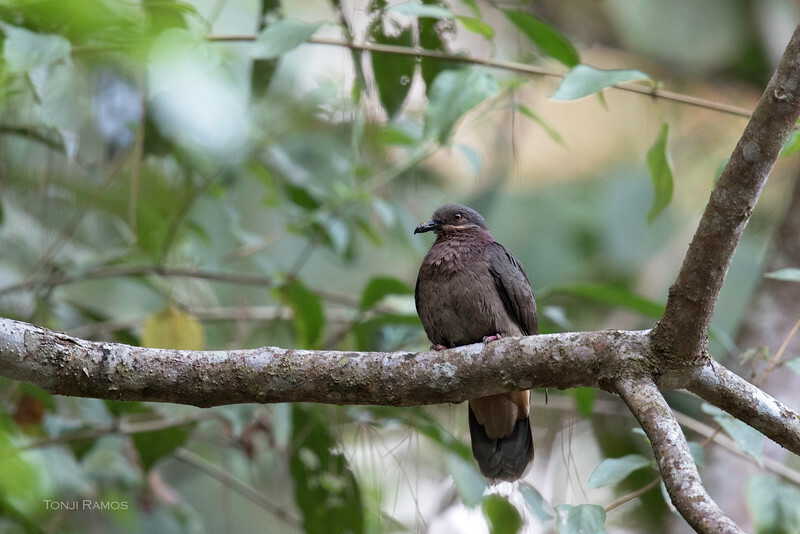 It looks similar to a White Eared Brown Dove, except it has violet on its upper back.This bird is listed in the Kennedy guide as Phapitreron amethystina. We saw it for the first time in Picop in 2011. It was early in the morning and still foggy when we saw it bird perched on a branch and took a very poor photo. We did not see one again until 2013. We were watching an Apo Sunbird perched on a high branch when an Amethyst Brown Dove suddenly perched on a tree branch in front of us.